Served Monday - Friday 6-10:30 a.m.
Rich n’ creamy slices grilled to golden brown, topped with caramel glaze, served with butter and maple syrup. Three 6.99. Two 5.99. Two eggs made-to-order served with bacon or sausage, hash browns and one piece of toast. Two thick golden brown slices served with butter, syrup, powdered sugar and bacon or sausages. Hot oatmeal served with raisins, brown sugar and fresh fruit. One poached egg and Canadian bacon on an English Muffin topped with Hollandaise sauce. Served with hash browns and fresh fruit. Two freshly prepared buttermilk pancakes hot from the grill. Served with butter, syrup and bacon or sausage. Tender corned beef and minced potatoes topped with 1 poached egg and served with one piece of toast. 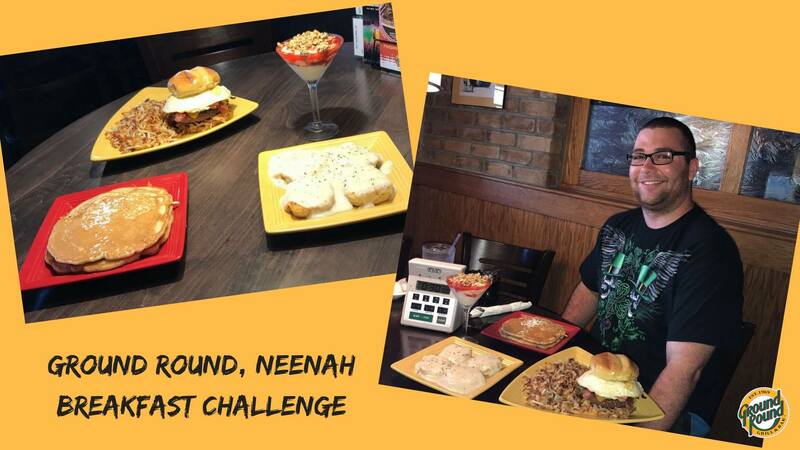 If you eat it ALL, you can officially say that you won the challenge! Better yet – you’ll receive the items mentioned above for FREE ($25 value) AND a $25 gift certificate to the restaurant if you’re a champion. Interested in giving it a shot? The challenge is available during all breakfast hours: Monday through Friday from 6-10:30 a.m. & weekends from 7-11 a.m. Talk with one of our team members to sign up TODAY! Locally owned and operated. Substitute Egg Beaters® at no additional charge. Consuming raw or undercooked meats, poultry, seafood, shellfish, or eggs may increase your risk of foodborne illness.